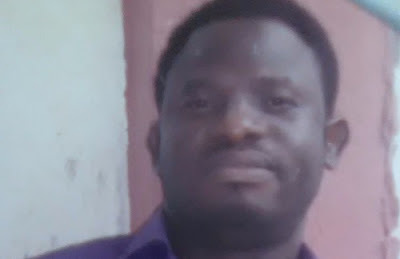 Soldiers from the 4 Mechanized Brigade Military Intelligence, Benin, have allegedly tortured a forty-year-old man, Otunba Ajayi Oladele to death. A referral from the military hospital in Benin City addressed to Consultant Physician at the Warri Central Hospital in Warri indicates that Oladele sustained multi-level traumatic spinal cord injury as a result of the beating from the military men, which allegedly resulted to his untimely death. Daily Post gathered that the late Oladele was arrested on May 8 following allegations by one Kayode Adeosho that he collected the sum of N1.5m from him since January but has refused to pay back. Rather than resort to civil authorities in addressing the matter, Adeosho allegedly used his connections in the Army to force the late Otunba pay the money. It was hinted that Oladele pleaded with the soldiers to release him because he had delicate health conditions that needed constant use of special drugs but the soldiers refused and forced him inside their vehicle. “The late Otunba Ajayi Oladele’s health condition worsened when the soldiers finally arrived Benin-City. “He was kept kept incommunicado with his mobile phones and other items in his possession seized, while he was placed under arrest with his legs chained. “He was taken before the Commanding Officer of the Military Intelligence in the Brigade, who told him that he must pay back the sum of N1.5m before his release. “Mrs. Esther Oladele was taken before the Commanding Officer of the Intelligence Group where the Commanding Officer told her why her husband was arrested. “The Commanding Officer directed that she should go and source for the N1.5m to pay the complainant to effect the release of her husband from their custody. “She was later allowed to see the husband in the hospital. She wept when she saw the condition of her husband in the hospital. “However, Oladele in his dying state denied the allegations against him. “Later, Lt. Col. Yakubu directed Sgt. Hassan Hassan to release Mr. Oladele to his wife on bail, after signing some bail bond with written undertakings that the N1.5million would be paid. “The said Sgt. Hassan Hassan later took them to the military hospital where the late Oladele’s one leg was still chained to the hospital bed in his dying condition. “Mrs. Esther pleaded that her hubby was in a terrible condition and that he should be quickly rushed to his personal doctors who knows how to handle him in Warri. Medical doctor of the military hospital issued a referral letter to the Central Hospital in Warri. He could not move any of his two legs and one of his hands. In fact, they were lifeless. According to the source, “It was in this condition that Mr. Oladele was put in a vehicle and driven to Warri just as the Commanding Officer instructed that Sgt. Hassan Hassan and the Complainant, Kayode Adeosho with some soldiers stationed at the Effurun Army Checkpoint should accompany the deceased to Warri for the purpose of identifying Oladele’s address and the surety that took him on bail. “The leader of the team stated that he had directives that he should be taken first to the residence of Oladele and the surety before going to the hospital. “The soldiers spent almost two hours inspecting and taking pictures of the apartment of the deceased, while Oladele lay down in pains. Oladele died living behind two children between the ages of two and eight and a wife. He added “it is very pathetic”,‎ just as he vowed to institute a fundamental human rights suit against the Nigerian Army. Wife of the deceased, Mrs. Esther Oladele has cried out calling on President Muhammadu Buhari, the Inspector General of Police, the Chief of Army Staff and all relevant security agencies, including the Delta State Governor, Arthur Ifeanyi Okowa to help her fiight the battle and bring the soldiers and all involved in the dastardly murder of her husband to justice. Mrs. Oladele, a police woman said,” Government should fight this fight for me ooooo. Only me and my two children. They are two small to live without a father”. Contacted, Army Public Relations Officer, 4 Mechanized Brigade Benin City, Capt Maidawa Maidawa did not respond to calls put across to his mobile phone. “This is an operational office line you are calling. Any moment from now, someone else is going to take over the phone”, he added as he banged the phone.